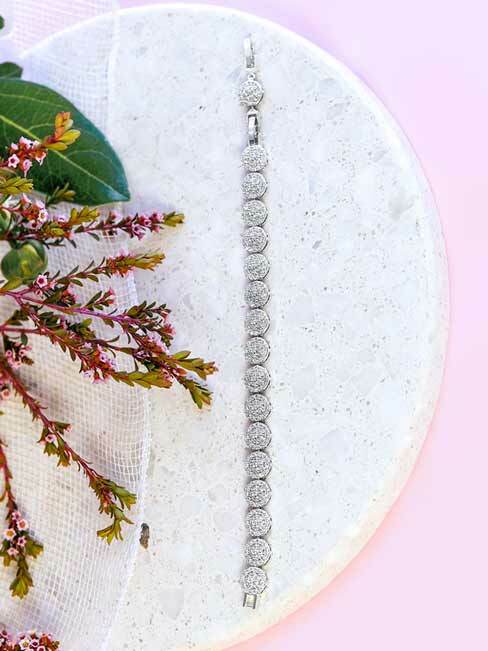 Embrace your own uniqueness with the Melbourne Bridal Bracelet, let it capture your inner beauty. 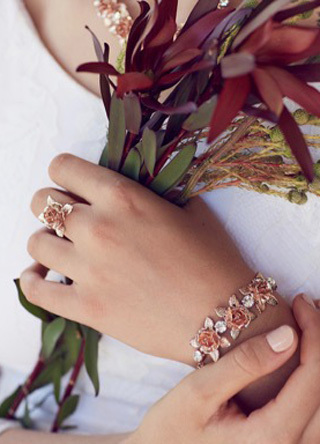 The fresh blooms will bring out the Melbournian in you with its artistic and yet delicate design. 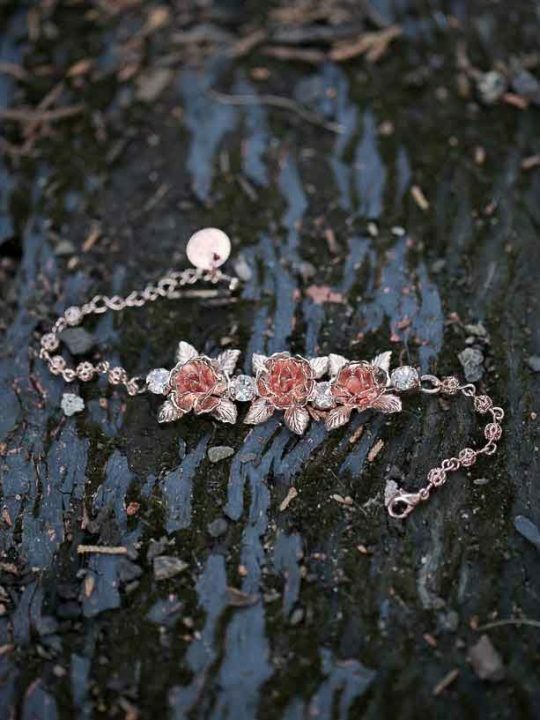 Three flowers interlock between crystals with a filagree chain. 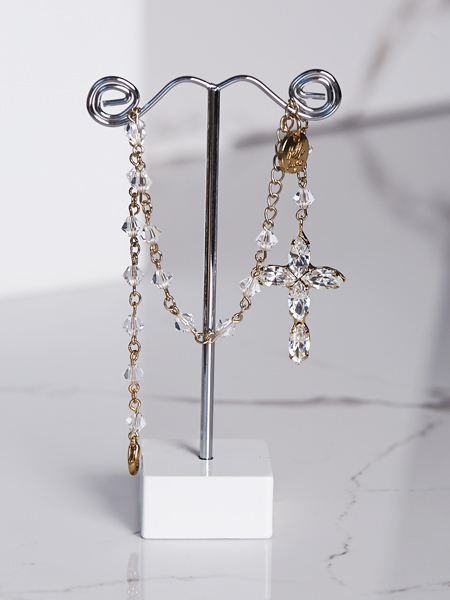 The Melbourne range has a number of matching pieces like the Melbourne Bridal Earrings or one of out signature pieces, the Luxe Melbourne Bridal Tiara to complete your look. In any case, floral is always on trend. 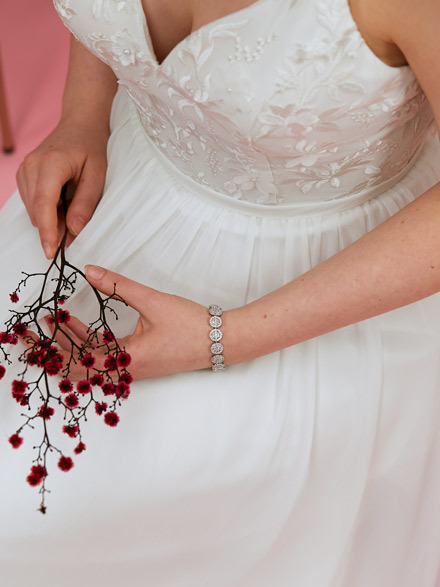 All our Bridal jewellery is made in Australia by Hello Lovers. Also our gorgeous lace wedding dresses are designed by Hello Lovers Australia.